Please Consider that by executing this Package you Agree to the Licence Agreement. Please Read ALL of the Contents of the Readme carefully. 3. How it works? / How to Use? This utility is released as freeware for personal and non-commercial use. files in the distribution package, without any modification ! with, endorsement by, or critique by this package or its author. This product is provided ‘as is’ with no warranty of any kind. damages arising out of the use or the inability to use this product. 2. What is TGUP ? TGUP refers to The Great Unattended Project. in sequence and sorts them into the startmenu (without user interaction). A manual selection of Applications is also possible. TGUP is mainly based on the self-composed batch script that controls the Package contents. 1. 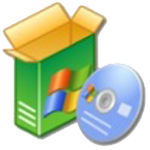 After TGUP is a executed, the package contents are extracted into the defualt Temp Folder. 2. TGUP compares available Applications on my server with those installed on your System. 3. WIHU is started, by default all not installed Applications on the system are selected. WIHU continues to next installation step. the countdown stops. Thus The User has the ability to make manual selections. from their official servers and are then installed silently on the system. 6. The Applications are sorted into different Categories into the Startmenu. 7. Finally CleanUp begins deleting the Temp Folder again. so please keep it selected. you definetly agree to each of their Terms and Licences. Please Read the Licence Agreement. For more Information concernig the included Applications follow the mentioned URLs below. – The TGUP Self-Made Batch Script. and received their clear Agreement to include them. Please Obtain them from the Official Sites before installing. – Enough Free space to allow downloading and installing of Applications. – TGUP is full Unattended and no user interaction is required. – It is a Freeware. – You get the latest Versions of the Applications. 00.14 12-Aug-2006 First Official Version. 00.15 31-Aug-2006 removed some Commands from Package.